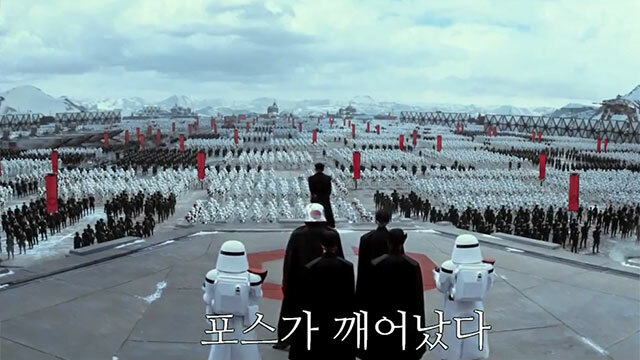 The Imperial Army Looks Glorious In New Force Awakens Trailer! We'll take whatever morsel of <em>Star Wars</em> footage we can get. Not impressed with the Attack On Titan trailer? Perhaps this will awaken you more: a new Star Wars: The Force Awakens trailer has been released on YouTube. The movie is one of the most awaited films of the year—a chance at redemption for a series that saw its last three films flop critically. It opens in the U.S. on December 18, with a local release at around the same time—that is if a certain local film festival doesn't interfere with the most important geek movie in years. You've probably seen much of the footage already, but that sweeping shot of the Imperial Army being assembled will take the breath away of any Star Wars nut.